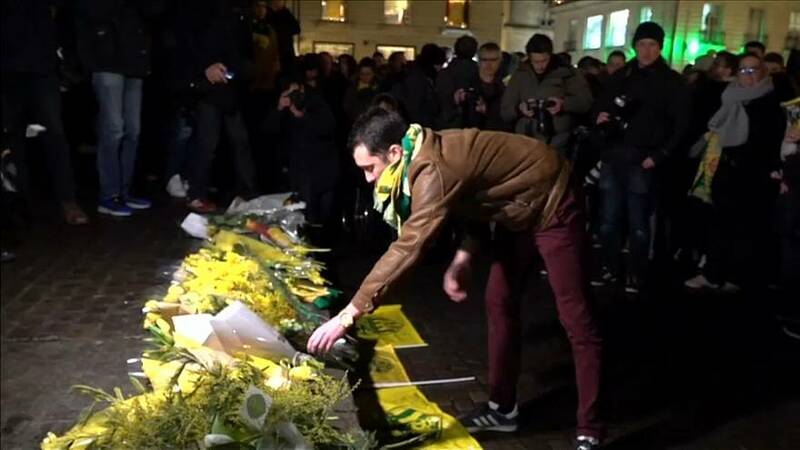 Nantes supporters staged a tearful and at times noisy vigil for former player Emiliano Sala on Tuesday after the plane carrying him to new club Cardiff City disappeared over the Channel. Sala was on board a light aircraft that disappeared late Monday night while en route to Wales for his club debut, France's civil aviation authority said. Sala was flying from Nantes to the Welsh capital when the plane lost radar contact off the Channel island Guernsey. Rescue aircraft and boats had searched more than 1,000 square miles of sea for the single-engine Piper Malibu by midday Tuesday, but police said no trace had yet been found. The 28-year-old Argentine-born forward joined struggling Cardiff City from FC Nantes last week for a club record fee of about €17 million. He had played in France since 2012.